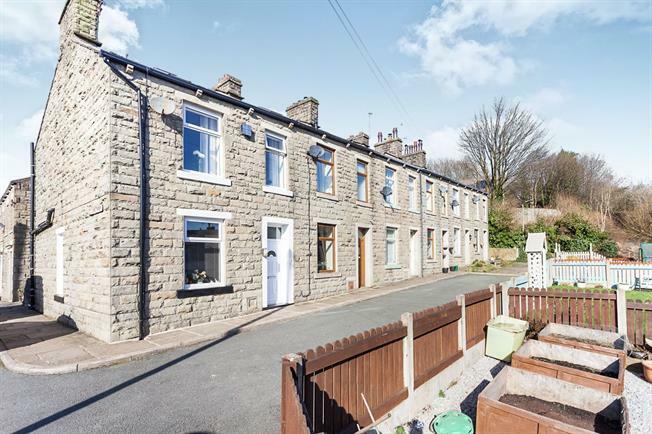 3 Bedroom End of Terrace House For Sale in Bacup for Offers in the region of £110,000. NO CHAIN We are proud to offer to the market this beautiful end terrace property which has been kept in fantastic condition throughout. The hub of the house is the kitchen, which comprises of ample built in wall and base units. Space for large table and chairs, electric fan oven and gas hob. Cellar room leading of the kitchen, with power. Front facing lounge with wood burner. Three good size bedrooms. Plus large attic room. Family bathroom with a wow factor of a walk in double power shower, wc and hand basin. New windows, doors, gutters and downspouts. No through road. Viewing is highly recommended.